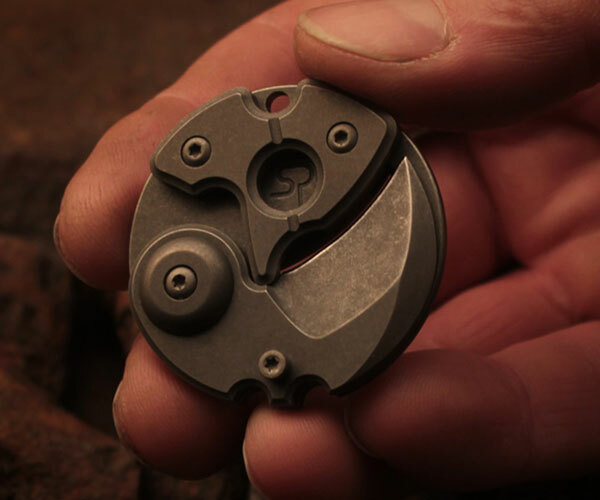 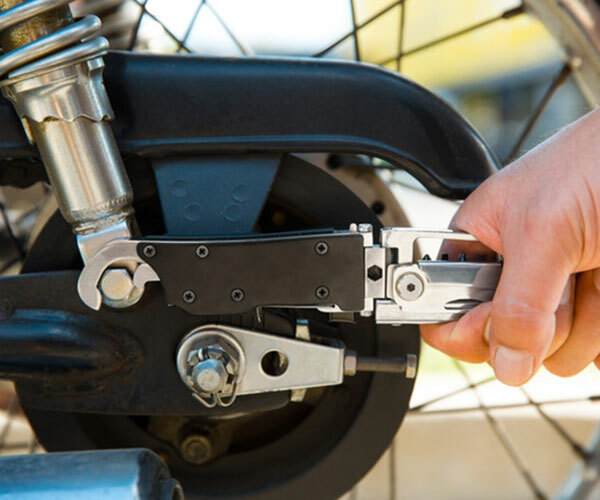 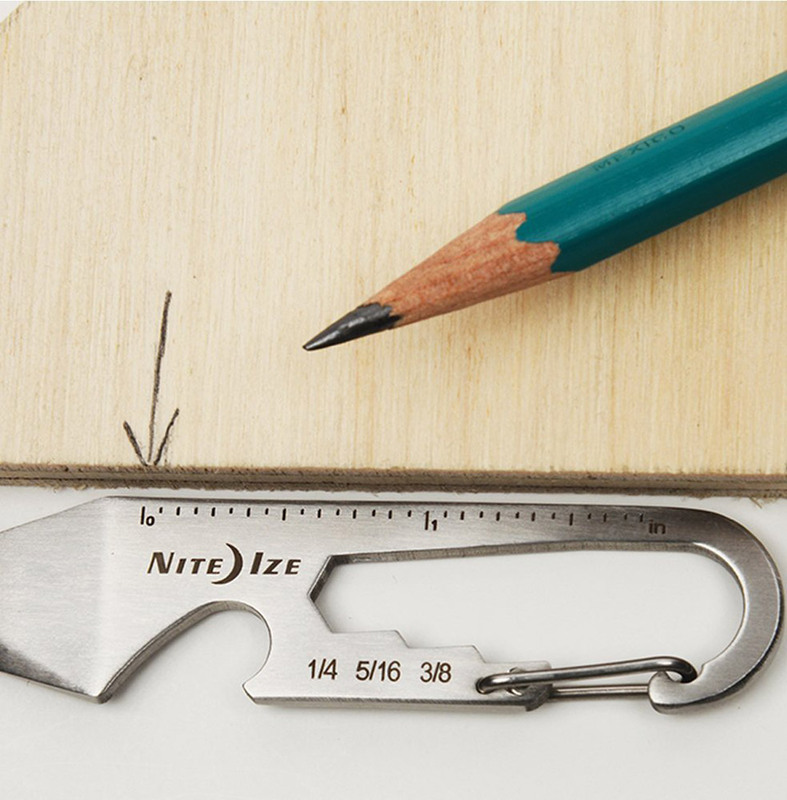 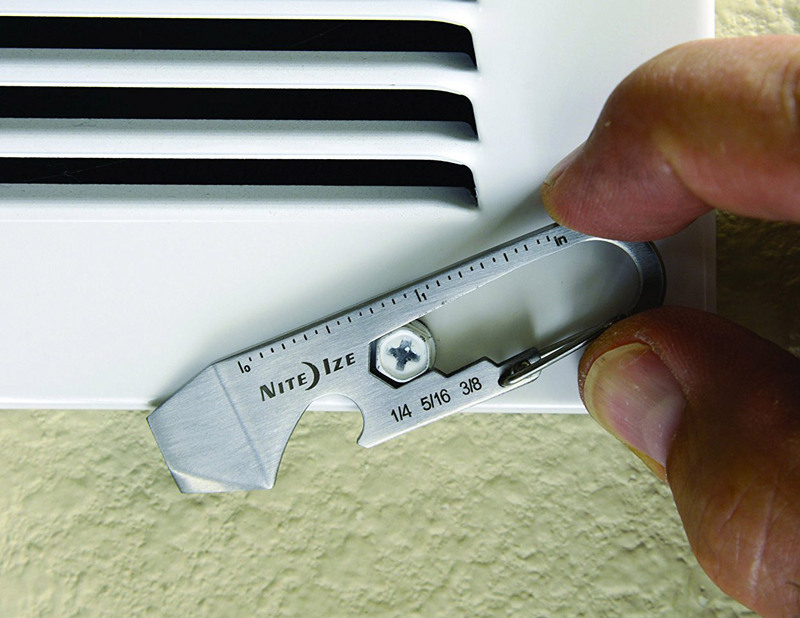 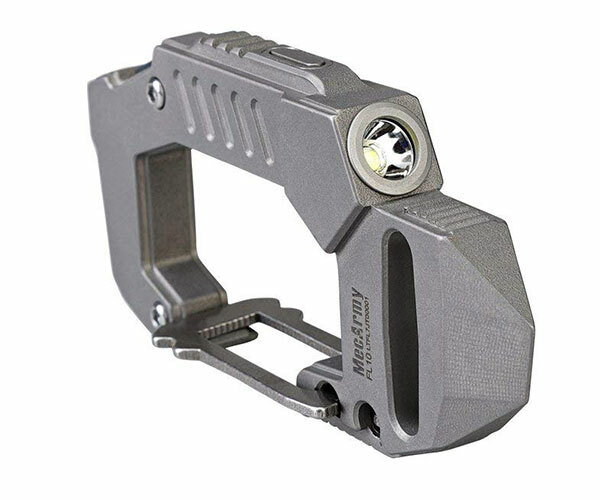 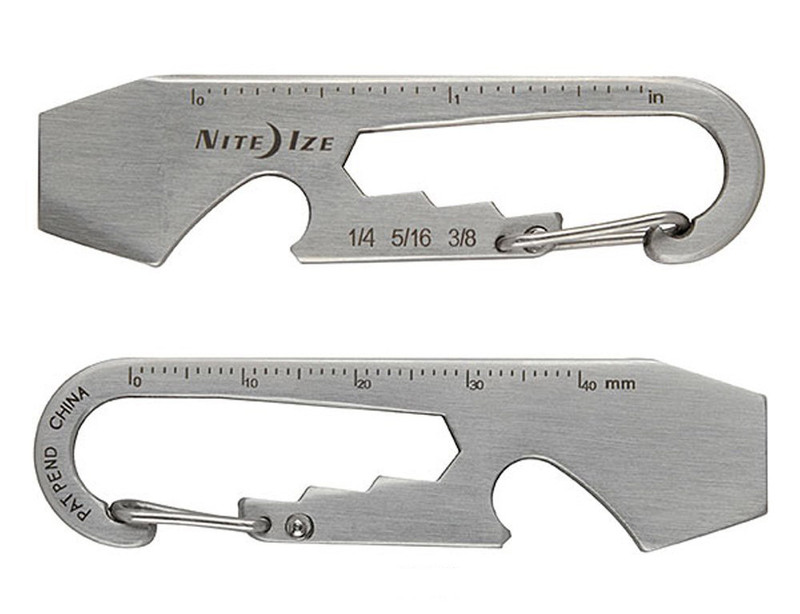 A super handy multitool that takes up not much more space than a key. 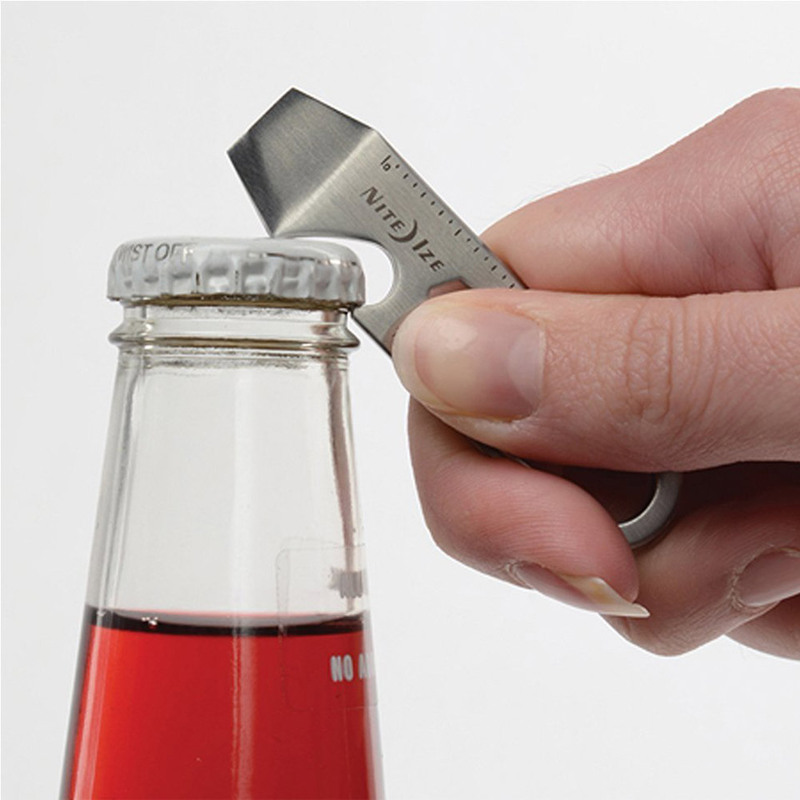 It packs three sizes of wrench, ruler, and a bottle opener. 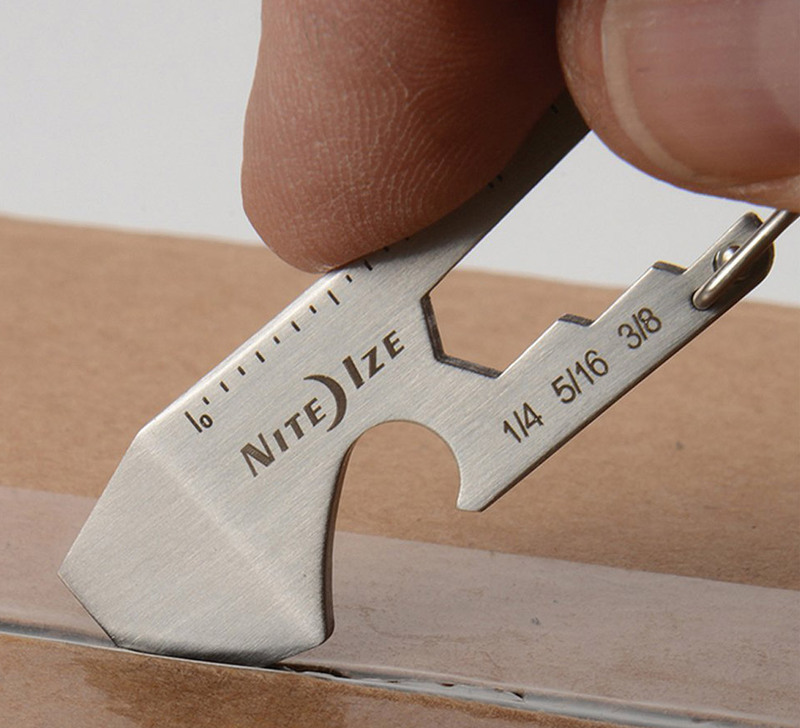 The TSA-friendly box cutter isn’t razor sharp, but can get through packing tape. 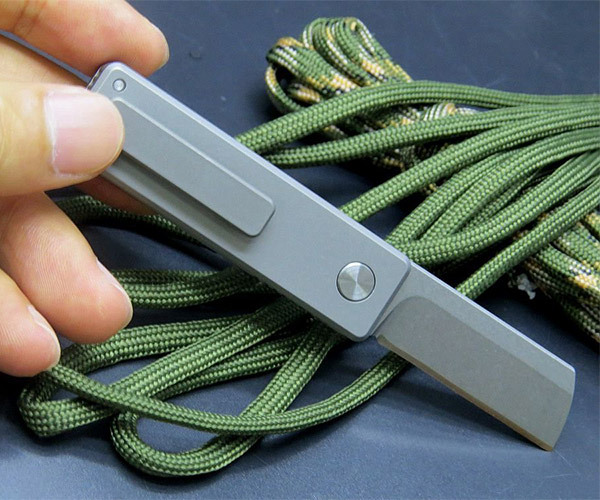 Available in stainless or black finishes.